The firm will look to strengthen the brand’s reach across the French market as it details it plans to ‘implement a major licensing programme’ based on The Smurfs. I.M.P.S. has resigned the firm as it looks to grow the Smurfs' licensing presence across the Nordic countries. 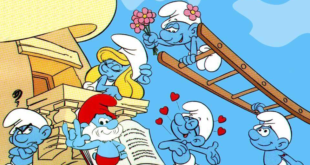 New fully animated movie will explore the origins of The Smurfs. The firm will develop a dual licensing strategy that both expands the classic Smurfs brand as well as developing product for Sony’s new Smurfs film. Sony Pictures Consumer Products teams with Budge Studios. Planned zone will contain 12 themed attractions inspired by popular Sony movies. Retailers including Pet-Smart, Macys, TRU, Build a Bear and Claire's among others on board. Workshop held special Instagram contest to mark the arrival of the characters in-store. Sony Pictures Consumer Marketing and USAopoly team for new collector's edition.